This Engineer II Green Berets model with date calendar, water resistance up to 100 metres and a solid but lightweight Titanium case is the perfect modern day accessory. With a brown leather strap and striking black dial, this timepiece combines simple style with complex functioning. 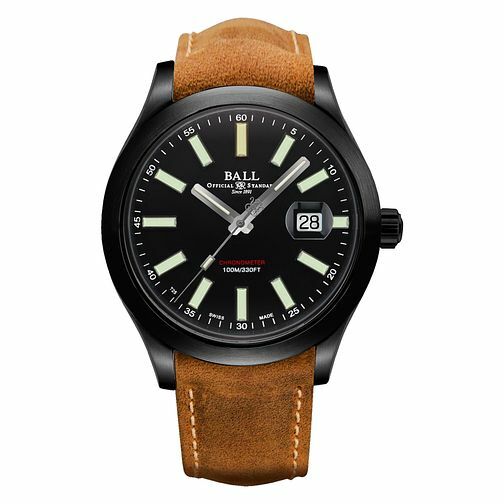 Innovation and creativity from Ball watches.